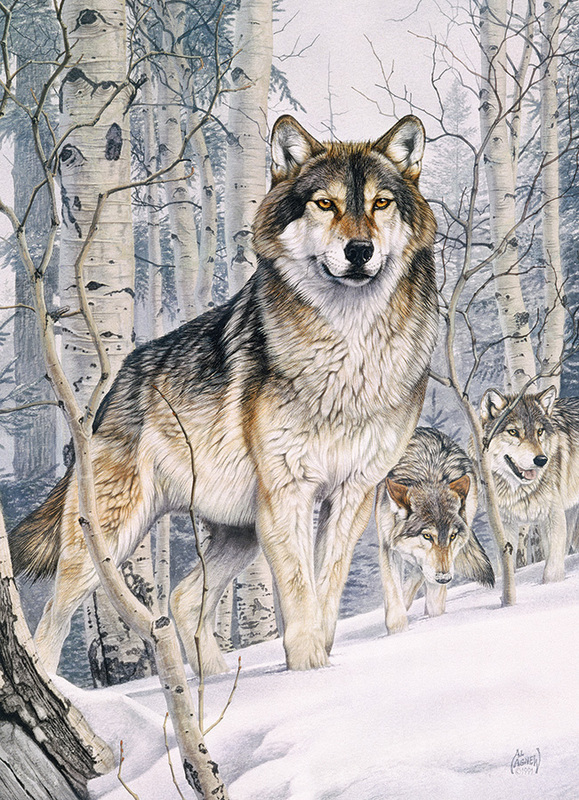 The wolves takes a Second Glance at their keen senses pick up on a creature scurrying in the snow covered forest. A 1000 piece wildlife puzzle by artist Al Agnew. Item # 80019 Weight 1.61 lbs.